Microsoft has revealed more details regarding its new Azure-hosted Dynamics 365 which will soon begin its rollout. Microsoft's new Azure-hosted, combined CRM and ERP service, Dynamics 365 will begin its rollout on November 1 and the company will show off some of the features of its new service in a live-streamed event later today. In July, the company announced its plans for Dynamics 365 and began to inform its reseller partners regarding what the service would offer. At that time it was revealed that Dynamics 365 would be a combination and redesign of the capabilities of Dynamics CRM, Dynamics AX and Project Madeira which is now known to be a new small-business software as a service based on the Microsoft Dynamics NAV platform. Microsoft announced today that the first seven Dynamics 365 applications would roll out in 135 markets and 40 languages starting on November 1st. A preview of a new Dynamics 365 Customer Insights app that utilises the Cortana Intelligence Suite will also be made available by the company at the beginning of November. Dynamics 365 will be available in both a Business and Enterprise edition. The Business edition will be suited to companies with between 10 and 250 employees and will include Financials, Sales and Marketing modules. The Enterprise edition on the other hand, will be targeted at companies with over 250 employees and will offer Operations, Sales, Marketing, Customer Service, Field Service and Project Service Automation modules. 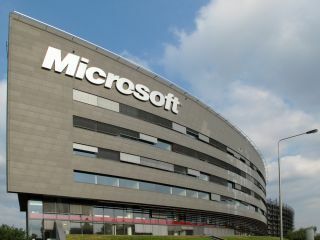 The pricing for Dynamics 365, which was leaked previously, will see Microsoft offer its various modules separately or across roles through “Plans” that will bundle multiple modules in a single license. So called 'team-member' versions of both Business and Enterprise Edition of Dynamics 365 will target customers who are light users and will be priced at $5 per user per month or $10 per user per month. Microsoft will likely release more details regarding Dynamics 365 as it comes closer to its initial release.